The 21-year-old was stabbed to death after he stepped in to stop a fight. A 15-YEAR-OLD boy, charged in connection with the fatal stabbing of Lorcan O’Reilly last year, has been remanded on bail. 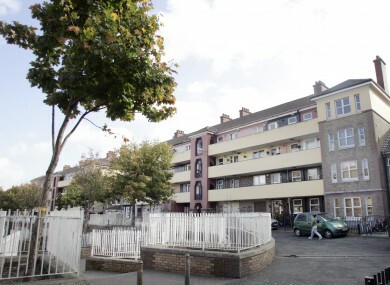 The 21-year-old was stabbed to death at the Oliver Bond Flats in Dublin city after he tried to stop a fight on Halloween night. He was rushed to St James’s Hospital but was pronounced dead a short time later. At the time of his killing, Superintendent Paddy McMenamin described O’Reilly as “a very respectable, decent young man”. The teenager who has been charged appeared before the children’s court this morning with his parents. However, the teenagers father was excused from attending the next hearing. The teenager was remanded in custody in April but he was granted bail at the High Court earlier this week. Under the bail terms, the judge outlined that the teenager must sign on daily at his local garda station, obey a nightly curfew and have a charged mobile phone with him at all times and the number must be given to prosecuting gardaí. His bail also required an independent surety of €6,000 and that he surrender his passport to the gardaí. The case has been adjourned until next month and will appear back before the Children’s Court on 6 May. The comments section is closed because this case is still before the courts. Email “Bail granted for teen charged over death of 'decent young man' who tried to stop a fight ”. Feedback on “Bail granted for teen charged over death of 'decent young man' who tried to stop a fight ”.